Coffee is Ethiopia’s gift to the world. It was here that the first coffee trees flourished, where the first beans were roasted and ground to a fine dust, where the first cups were poured from a clay jebana centuries ago. You can taste those centuries of tradition in a cup of this legendary coffee. 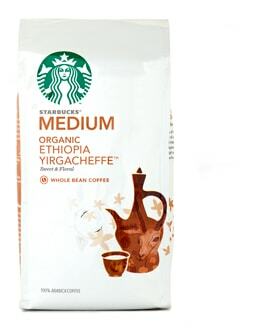 Organic Ethiopia Yirgacheffe™ is most noted for its intensely floral aromatics that complement an elegant acidity and a dense, fruity sweetness. It also has undertones of exotic spice, with peppery or cinnamon notes. Intensely floral aromatics that complement an elegant acidity and a dense, fruity sweetness.